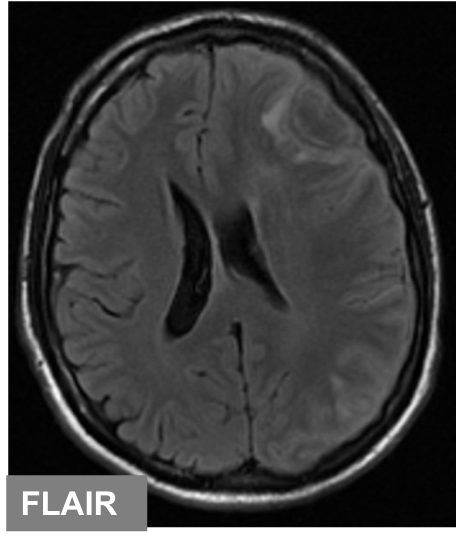 Left frontal extra-axial collection which shows high signal intensity on T2, low on FLAIR, with central diffusion restriction. 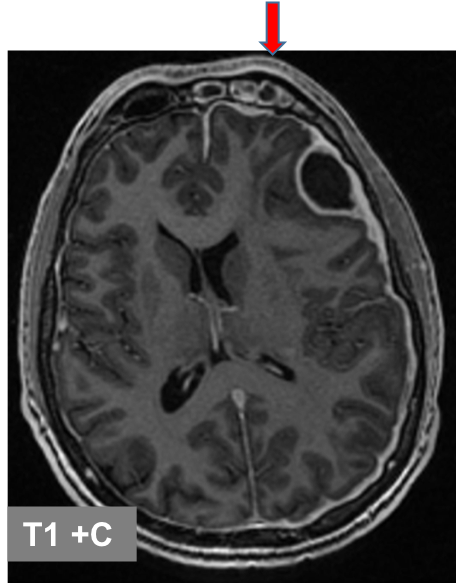 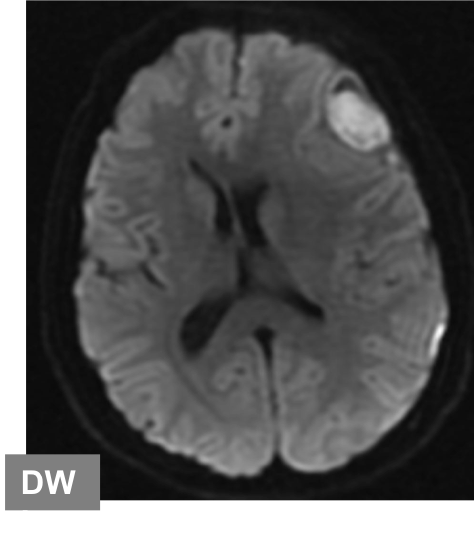 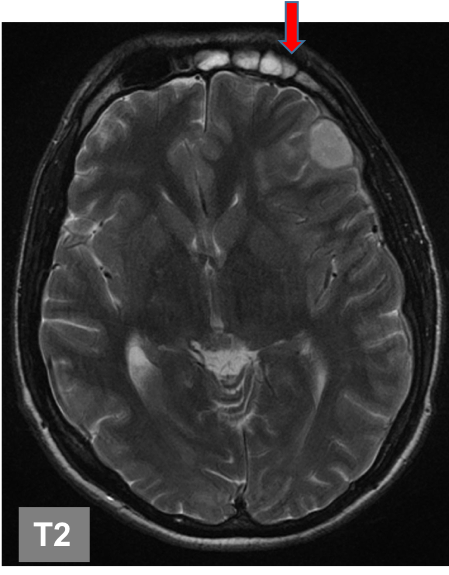 Ring enhancement on post-contrast images with associated pachy-meningeal enhancement. 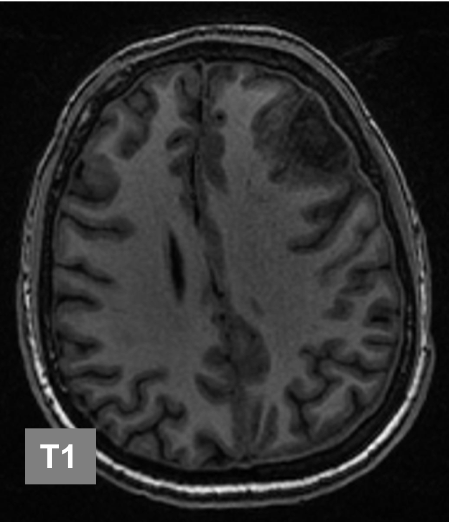 Note the frontal sinusitis (red arrows).